You're analog players in a digital world. I am a fan of the new Ocean’s movies. Ocean’s Twelve wasn’t as good, but was still clever and was very, very funny. Ocean’s Thirteen, although still quite good and funny, is the worst of the bunch. It definitely fits with the series. It’s done just as well as the other two and, of course, has an awesome cast. Casey Affleck is hilarious and steals the show in this chapter. It just wasn’t quite as clever as the other two. Wasn’t quite as funny. The dialogue was even a bit boring at times. BUT, it was still way better than most of the movies being made these days. I would definitely recommend it, especially if you’ve liked both of the other two. This movie was good, I guess. Definitely not great, but good. It wasn’t near as funny as people had talked it up to be. There were definitely some funny moments, but on the whole, it wasn’t all that funny. Like The 40 Year Old Virgin, it ended nicely and left you with warm fuzzies…or whatever, but also like The 40… the language was horrible. Just not something you expect from a comedy about having a baby. It’s worth seeing, but definitely a renter. This guy, however, was probably my favorite part of the movie. A Life Without Pain is a documentary about three children in three different countries who have a disease called Congenital Analgesia. This disease causes the children to fill no pain. At first thought, you might think that not feeling pain might not be so bad, but when you see what these families are going through, you realize that a whole lot of things can go wrong if your body isn’t telling you when you are being hurt. There isn’t a whole lot to say about this documentary. It was very interesting and educational. It was pretty short, so it never got boring at all. It wasn’t super entertaining or anything, but I don’t think it was meant to be. It was meant to inform, and it did just that. I’d recommend watching it if you can get your hands on a copy. 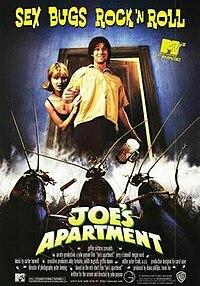 Yes, this is the 90’s MTV movie about a guy and the roaches in his apartment. Yes, it’s as terrible as it sounds. ← The Great Smoky Mountains! 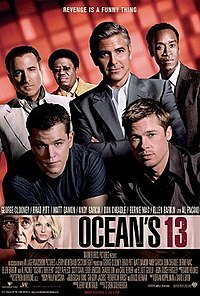 i loved oceans 13!!! but i love all of them. it might be b/c of all the hot actors. but really, i thought it was very humorous…..